﻿ Grand Living Residence, Chiang Mai | FROM $16 - SAVE ON AGODA! "It was a nice stay." Have a question for Grand Living Residence? "Loved the location for the food market on the side, easily accessible, simple and reg size room, we enjoyed our stay"
"The room was clean and big ." "Simple and nice apartment ." "Location is great as well !" 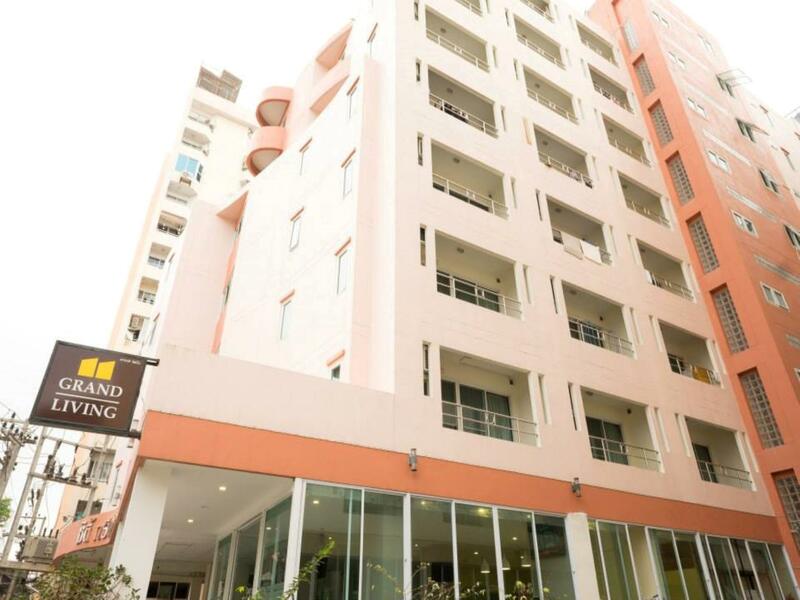 Grand Living Residence, located in Huay Kaew, Chiang Mai, is a popular choice for travelers. Set 4.2 km from the excitement of the city, this 2-star hotel commands an excellent location and provides access to the city's biggest attractions. For sightseeing options and local attractions, one need not look far as the hotel enjoys close proximity to Studio Naenna Textiles Gallery, Maya Lifestyle Shopping Center, Think Park. 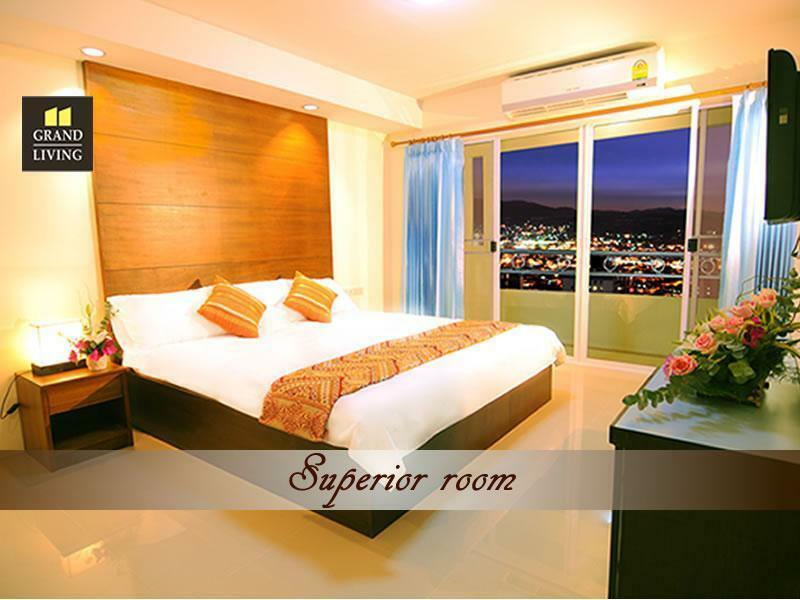 Grand Living Residence also offers many facilities to enrich your stay in Chiang Mai. For the comfort and convenience of guests, the hotel offers Wi-Fi in public areas, car park, room service, family room, elevator. Guests can choose from 19 rooms, all of which exude an atmosphere of total peace and harmony. Besides, the hotel's host of recreational offerings ensures you have plenty to do during your stay. When you are looking for comfortable and convenient accommodations in Chiang Mai, make Grand Living Residence your home away from home. I would come back. only thing is the internet went out and it's essential for us to have it, so we had to leave earlier. but if you are looking for good staff, room cleanliness, and a decent location for good, you'll like it here. One of the best-priced places near downtown CM. The rooms are bigger than other hotels and they are comfortable enough. The location is fine, just behind the IBIS. We have stayed here a few times without any problems. Near the top of our list for cheap accommodation in Chiang Mai. grand Living is a cool place about 500m from Maya. It's a bit of a walk, but there's a 24-hour Tesco Mini just around the corner for basic needs. Big rooms, air con, hot water, TV, all the essentials. Makes a good choice for the area. Not far to Nimman if you enjoy a walk. Overall had a good stay. It was a nice stay. Closed to shops. But noisy from aircraft during the day. Many parking spaces. Fairly typical Thai style hotel. Decent value for money and reasonably close to the main road. We came to visit the zoo and it's well positioned for that. Chiang Mai traffic is pretty horrible, and the hotel was quite hard to find. I'd probably try somewhere else if I went back to Chiang Mai though. economy, cleanliness, serenity. my girlfriend and I needed a quiet holiday in cm and we got it living here. you have to pay for WiFi in your room. WiFi n lobby is free. staff has almost zero English. We had a great time generally. It is a nice location. Down the street from a shopping mall. Staff tries to be helpful but they don't speak fluent English. The bed is somewhat squeaky if you wonder about it. Mattress firm but I like it like that. All in all you get what you pay for. So I have no complaints. If you are finding a pleasent quiet place to stay in small budget and close to city center or Chiangmai University, this is the answer of what you are looking for! The building might be a bit difficult to find and need a short walk from main road. 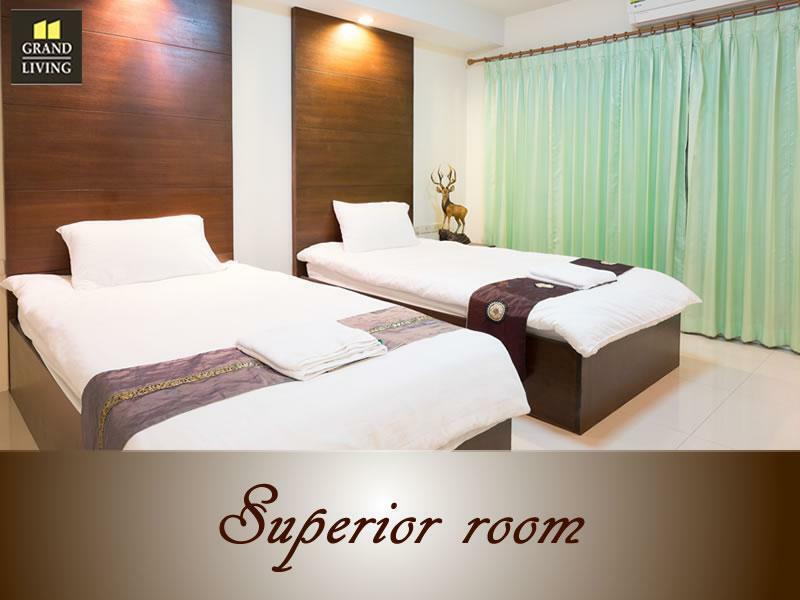 Once you found it and checking in a room, you will get surprise of the size of the room comparing to other budget hotel in this location, or even the whole Chiangmai, with such little price. 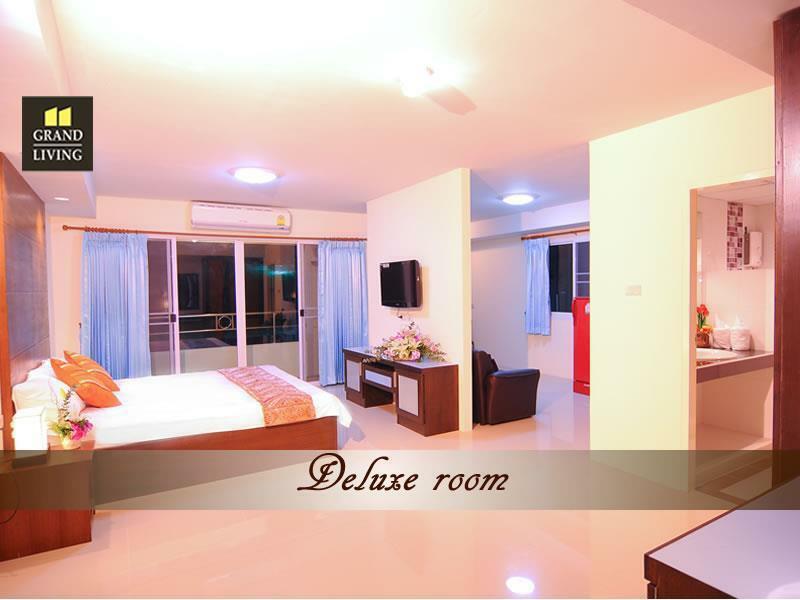 The room decoration is simple but tidy, and come with generous amenities like fresh towel, soap, fridge and TV. The bed is fine with clean bed sheet and comfy pillows. Staffs are also nice and helpful. A little drawback is that the public area is not so lively - small lobby, no restaurant. But if you just want have a quite stay in spacious room, this drawback is not matters at all. My advice: Rather than spending for a small room in expensive hotel, you can save some money by chosing this friendly budget hotel, and spend the rest of your money on shopping and fine dining elsewhere. Good value of money, Big clean room, Great Location. Good value of money, big clean room and great location walking distance to Nimmarnhemin road and Maya shopping center. The staffs are helpful and friendly. I will definitely stay at this hotel again. Its worth my money. Highly recommend. If you can't find the hotel, check the google map on their website. It was very cheap you can't expect something nice. Our bed was very stiff. The sink would drop water when we arrived. The shower was full of mold and the water was cold, a bit warm. I like my shower water hot. The pictures are very deceiving. The place looks a lot less attractive upon arrival. The only good thing was the TV there was a lot of channels. The room was spacious. Very close to doi suthep. The front desk people barely spoke English so it was hard to communicate. My boyfriend hated the room but I understood that it wasn't going to be fabulous for that price. Unless you're a positive person and make the best of any situation I wouldn't recommend this hotel for you. Save some money and book something better and more expensive. Decent tv with a good selection of channels. Good air conditioning. The room is bare. One side table. Only two thin towels. Bed is plank hard and two soft pillows. Duvet cover does not look laundered. Could be reused before washed. Not happy with my stay. Staff was unfriendly. The elevator was not working and we were on 6th floor. Then room was so dirty. Lot of piece of hair in toilet and on the bed. The staff gave me the wrong key so i got in the wrong room which was someone in the room. The hotel is not familiar by the Taxi divers. The rooms are very dirty ( mirrow in bathroom with spots, bad wifi connection/ only in the lobby, dark spots in the bed and linnen, spider webs in the room. The ask you to pay a desposit (200bt). They will go through your room to find something in order to keep this deposit. The reception charges 200bt for a towel that we used, because is was to dirty! Do not book this Hotel!!!! Simple and nice apartment . 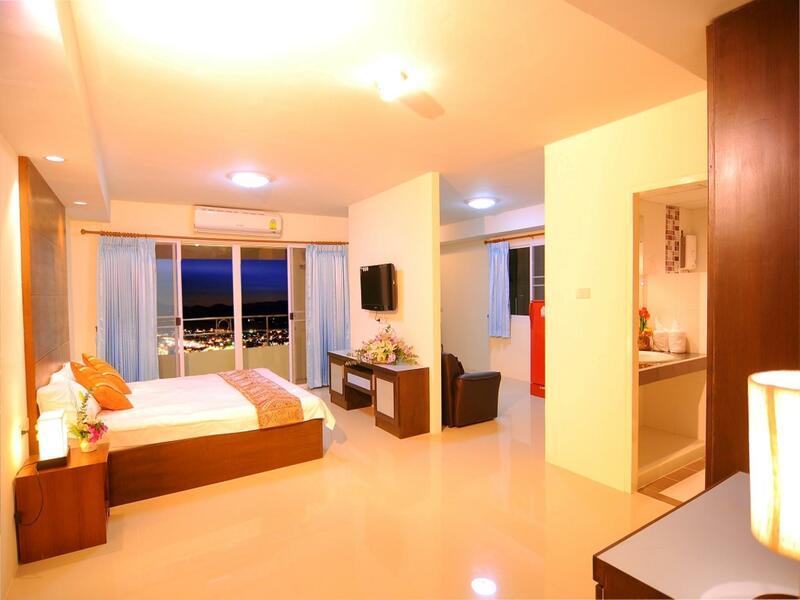 Price is very reasonable suitable for groups as they have connecting room . Location is great as well ! The room is not that bad but they ask too much for it. Better options for the same price. Internet did not work.